If you're one of the millions of Americans who set a resolution at the start of 2019 to commit to a healthier lifestyle, there's a good chance you're already struggling to stay on top of your goals. One study showed over 30% of participants failed at keeping their resolutions after only a month, and data from fitness app Strava even pinpointed the exact day people give up (January 12, in case you're wondering). So if you think you're falling into the category of resolution-quitters, you're not alone. The key to sticking to your resolutions is to keep yourself motivated and engaged—that's the exact problem fitness app Zova aims to solve. With three tailored workout programs each week, Zova's smart fitness and workout programs help you stick to your resolutions and reach your fitness goals faster. 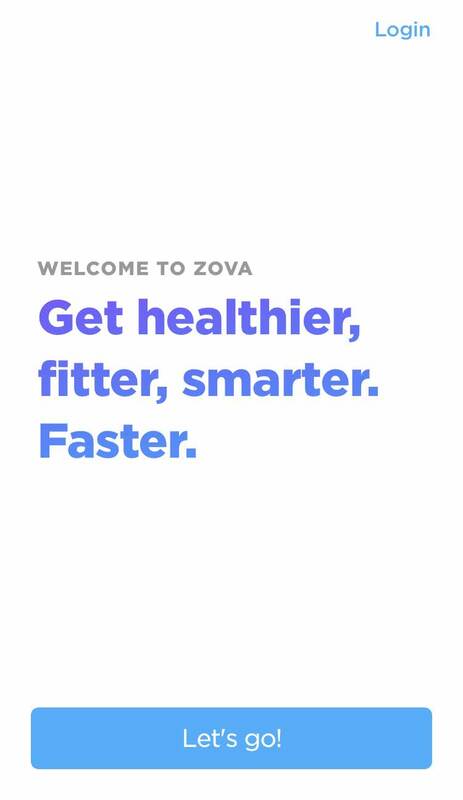 Zova takes a more personal approach than other fitness apps, beginning with their onboarding sequence. Instead of immediately being prompted to sign up, users are asked to enter only their first name—Zova uses this small detail to personalize their microcopy in the onboarding sequence. Zova then introduces users to their trainer through a series of interactive onboarding videos. Each video includes sound and uses progress bars similar to other video-story apps at the top of the screen, providing a familiar experience to new users. 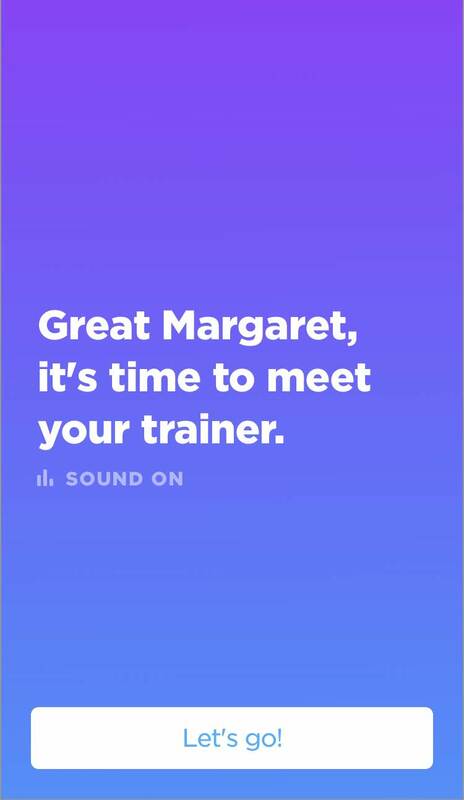 The trainer prompts users to answer a short series of onboarding questions to help tailor the workout program to their needs. In one video, the trainer asks users to enable notifications. By providing context for why the app is asking for notifications and including it directly in the onboarding sequence, Zova increases the notification sign-up rate, keeping users engaged and active within the app. Since Zova doesn't offer a free version of their service, demonstrating value up front is crucial for increasing sign-ups. The video onboarding sequence helps users see the benefits of the app before being asked to pay for their subscription at the end of the onboarding sequence. Zova's interactive video-based onboarding helps add a human touch to what would otherwise be an impersonal service. 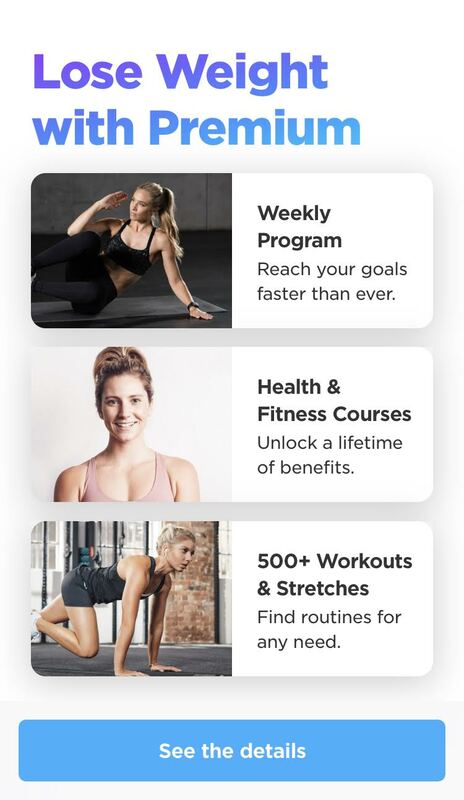 Their onboarding sequence immediately demonstrates the core benefit of the app—interactive workout videos tailored to users' goals—before prompting the user to subscribe. The app asks for permission to send push notifications as part of the onboarding sequence. Integrating this into the videos helps to maximize the number of users allowing notifications, letting Zova bring users back to the app more frequently. The app takes advantage of common design patterns from other popular apps to help build familiarity and confidence with users. The segmented progress bar at the top of each video guides users through each video, helping them feel like they're making progress toward their workout goals.